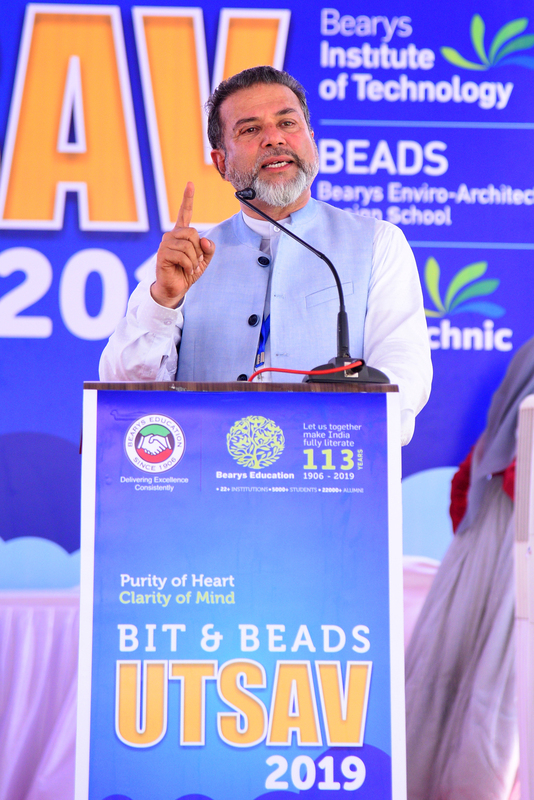 Bearys Institute of Technology (BIT) and Bearys Enviro-Architecture Design School (BEADS), Innoli, Mangaluru, celebrated its 10th Annual College Day on 30th March 2019. The celebrations commenced at 11:00 AM in the Open Air Stage of the College. Mr. Sunil Chandra, Group General Manager (Corporate Strategies), MRPL, Mangalore was the Chief Guest and Mr. Srinivas Gowda, IPS, Assistant Commissioner of Police Mangalore was the Guest of honour. 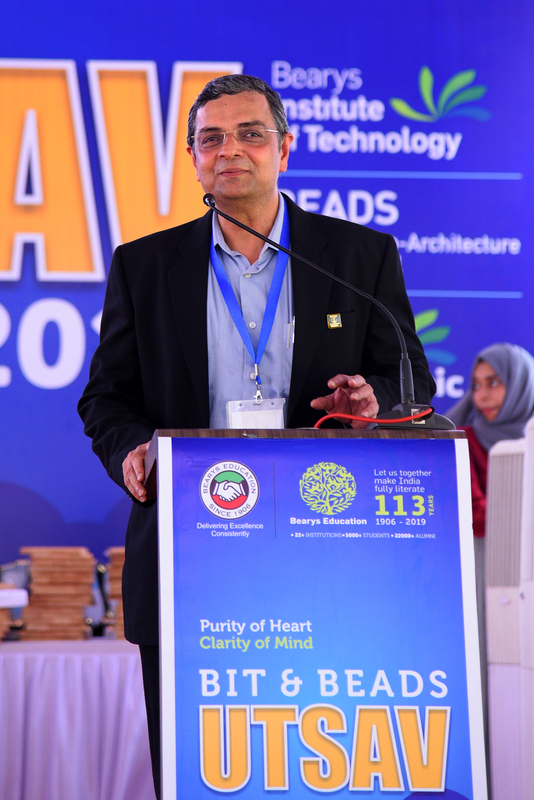 Mr. Syed Mohammed Beary, Chairman of Bearys Group of Learning presided over the programme. Dr. Mustafa Bastikodi, HOD of CSE, welcomed the gathering to the occasion. Dr Mahabaleswarappa, Principal, BIT presented the annual report of the college to the house in an innovative way, leveraging technology. He has covered the various Department events, Faculty achievements, and Student achievements. Also, he highlighted the upcoming events for the present year. Ar. Ashok Mendonca, Principal BEADS read the annual report, in his report he highlighted, for two successive semesters the results were 100%. Then Dr. Aziz Mustafa, principal of the BIT Polytechnic Institute, read the annual report, in his report he highlighted, the placements of BIT Polytechnic. 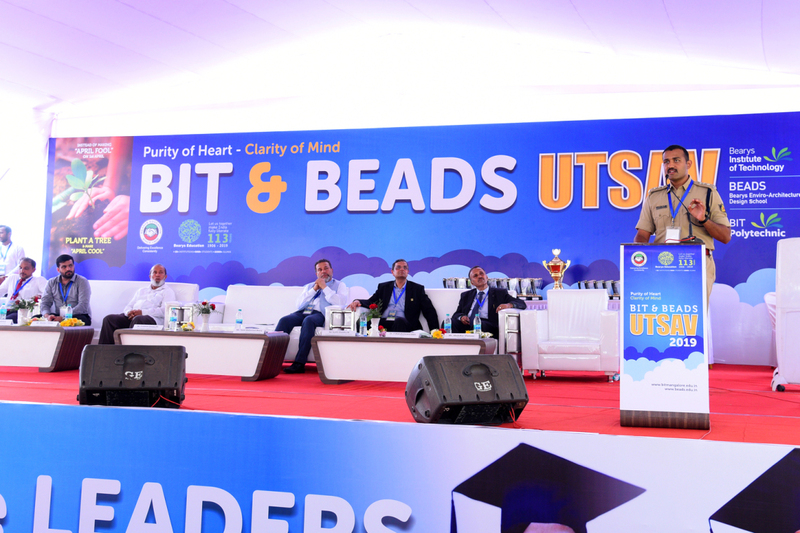 Addressing the gathering, Mr. Sushil Chandra said BIT has been rendering its service to the society without any remark and quality filled academic assessments. The credit goes to each student and faculty of the college. By their academic success and value-based character, they become our ambassadors.” He narrated the engineer need to work in order to gain confidence in people while pursuing a career and it is important to work with people’s confidence. He also said when selecting a field and studying the field properly, it is possible to do well in that field. He introduced MRPL as a state-of-the-art corporation with a state-of-the-art corporation that is the sixth unit in the world to have solar power production. He also said that MRPL has achieved alternative fuel production by engaging in ethanol production from organic waste. 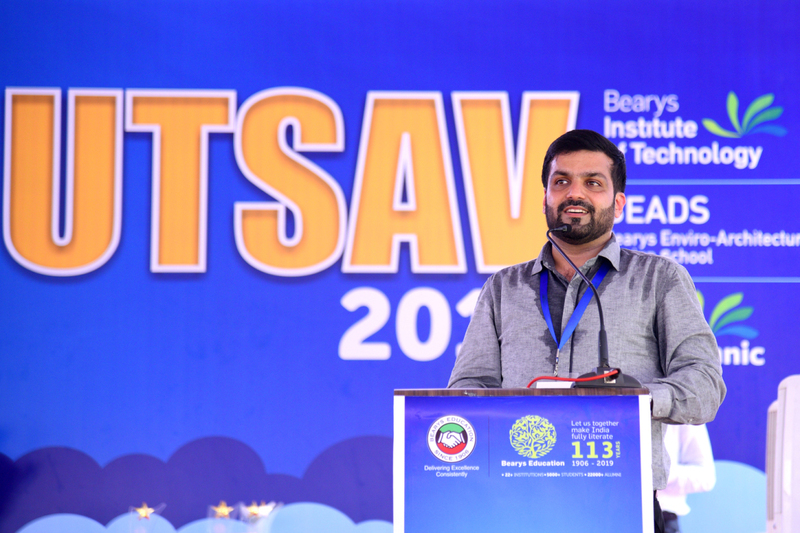 Mr. Srinivas Gowda, said, “BIT enjoys an eco-friendly ambiance and student-friendly campus. The college has the best faculty and is known for quality education in the region. Achievements are very important in each one’s life. He urged the students to not only become men and women of intelligence but also become people of good character. “Mahatma Gandhi is an example to us that students should accept the challenge in their lives to survive as good people in society. Mr. Syed Mohammed Beary gave the presidential address; he quoted “No one should take academics lightly. It is the base for everyone’s life”. The knowledge one receives in college facilitates one to become a responsible citizen. Inspiration and sincere efforts are the main pillars of success. When success becomes part of our journey, our life will be filled with happiness. The motivation and enthusiasm to learn new things encourage the students to chase success”. Mr. Mazhar Beary gave a speech and he advised the students to make the right use of all digital equipment and media and at the same time to keep in mind self-love and nature. Mr. Abdul Rahiman Beary, President, Haji charitable trust. was also present to grace the occasion. The event also witnessed the felicitations of all Student achievers in sports and academics. The Guests, along with the President, distributed various Excellence awards. The following faculties were felicitated for getting P.hD degree, Dr. Sandeep in Physics Department, Dr. Shouiab Kamal in ECE Department, Dr. Vinutha P.R in Physics Department, Dr. Vivikananda Huddar in Mechanical Department, Dr. Mustafa Bastikodi in CSE Department, Dr. Raju J in Mathematics Department. Mr. Mazhar Beary, in his address, “I congratulate all the winners and participants of various events and academics. I appreciate all the students and the entire faculty for their contribution to making this institution a one among premier this region. The Master of the ceremony of the event was Ms. Shinoriya of ECE department. The inaugural Program concluded with national Anthem by Prof. Mubeena Taj of ECE department.